If a report is believed to be true, Microsoft’s Cortana could have been used to bypass the security protection of the Windows 10 operating system. It’s worth noting that the vulnerability has already been patched in June by Microsoft. 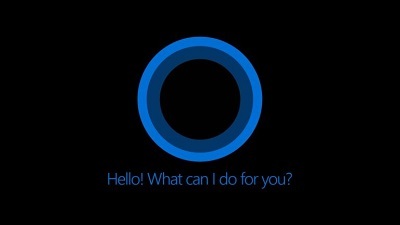 At Black Hat in Las Vegas this week, security researchers Amichai Shulman and Tal Be’ery from Kzen Networks revealed how Cortana could be used to bypass the protections. The vulnerability existed in Cortana and Microsoft has patched it a while ago. “Allowing interaction with a locked machine is a dangerous architectural decision, and earlier this year, we exposed the Voice of Esau (VoE) exploit for a Cortana vulnerability. The VoE exploit allowed attackers to take over a locked Windows10 machine by combining voice commands and network fiddling to deliver a malicious payload to the victim machine,” the researcher explains. “In this presentation, we will reveal the “Open Sesame” vulnerability, a much more powerful vulnerability in Cortana that allows attackers to take over a locked Windows machine and execute arbitrary code. Exploiting the “Open Sesame” vulnerability attackers can view the contents of sensitive files (text and media), browse arbitrary web sites, download and execute arbitrary executables from the Internet, and under some circumstances gain elevated privileges. To make matters even worse, exploiting the vulnerability does not involve ANY external code, nor shady system calls, hence making code focused defenses such as Antivirus, Anti-malware and IPS blind to the attack,” they explained. Disclaimer: The information contained in this article is based on a report from Black Hat. Windows Latest makes no claims, guarantees about the accuracy or completeness in this article, and shall not be held responsible for anything we say in this article.